It is well documented that we Blondes like crisps. We even once suggested that Frazzles plus Scotch eggs made up the perfect camping equivalent to the full English breakfast. A bag of crisp-like snacks always makes its way into our wild camping rucksacks and believe us, we are not fussy about when we eat them. Wouldn’t it be nice however if walking food wasn’t quite so bad for you? We have tried various healthy walking snack options (and I will admit that B1 is better at this than I am). I usually manage to take a banana or an apple but almost always eat the less than good for you options, often finding the fruit at the bottom of my rucksack the next time I come to pack it. 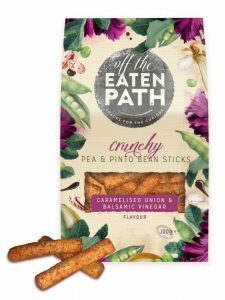 Well, we Blondes have recently been sent some samples of the ‘Off the Eaten Path’ range of healthy snacks to try. 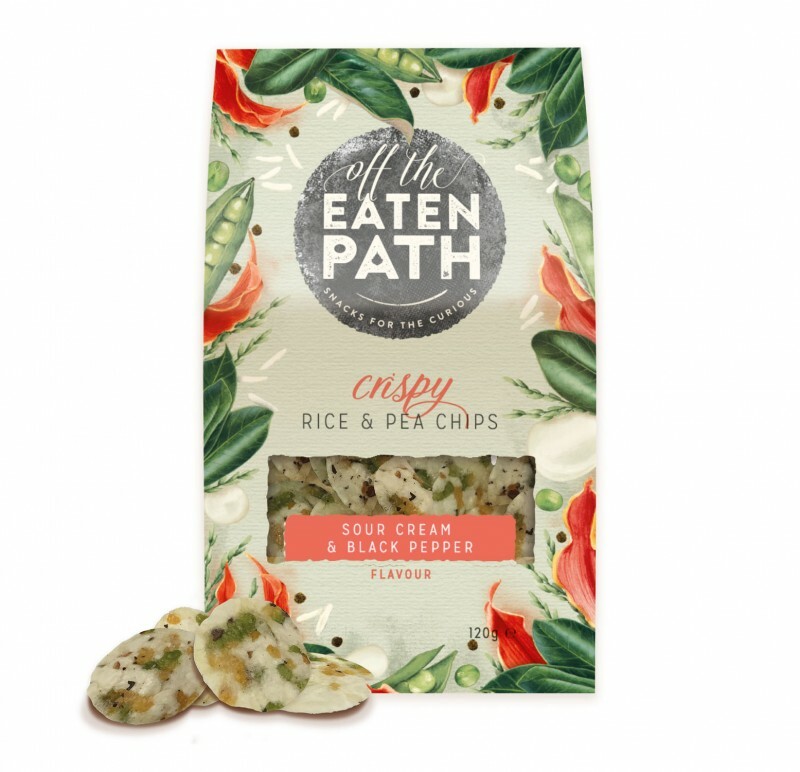 Created especially for people who love their snacks but also love the outdoors and exercise, Off the Eaten Path crisps are made of vegetables and contain only tasty and natural things. 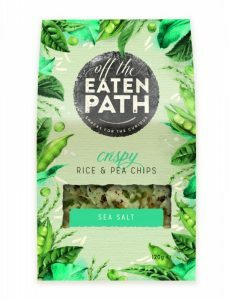 My favourites were the Sour Cream and Black Pepper Rice and Pea Crisps (a mouthful to say but not to eat) which only had 3.3g fat in a 30g bag (to be honest I could have eaten a much bigger bag). This came in much lower than another type of sour cream crisps with which we Blondes sometimes indulge ourselves, which had 8.8g of fat per 30g bag. Now I know that fat isn’t the only way of measuring a snack’s healthiness but the other numbers for these particular Of the Eaten Path crisps came in lower as well. We Blondes decided that the Off the Eaten Path range of snacks were tasty and tomorrow as part of the promotion for the UK launch of these crunchy little niblets, we will be taking a group of lovely press people out on a magical mystery walking tour during which we will teach them how to stay safe outside, show them the basics of using a compass and maybe (if they are very good) how to eat tasty and healthy snacks, . Now, all we need is for someone to invent the ‘healthy’ pasty!